Dr. Elliot Coates is an experienced British and Australian Doctor with special interests and extensive specialised training in the diagnosis and management of Melanoma and other Skin Cancer, including surgical removal, as well as general Dermatology and Paediatrics. He graduated with a BSc (First Class Honours) in Tropical Medicine and MBBS with Distinction from King’s College London and subsequently Dr. Elliot Coates obtained a Postgraduate Diploma in Clinical Dermatology and Certificates in Skin Cancer Surgery, Advanced Dermoscopy and Cosmetic Medicine. 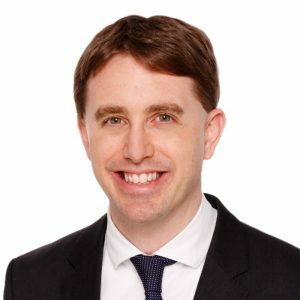 From 2011 to 2016 Dr. Elliot Coates undertook training and managed patients at high Melanoma and Skin Cancer risk in the Sydney Melanoma Diagnostic Centre at the Royal Prince Alfred Hospital, as part of a large multicentre Cancer Council NSW clinical, and he was also a Clinical Associate Lecturer in Dermatology at the University of Sydney. Additionally from 2011 to 2013 Dr. Elliot Coates also undertook training and managed patients with complex Skin conditions in the Dermatology Department at the Royal Prince Alfred Hospital and in 2010 he was a Registrar at the Sydney Sexual Health Centre. Dr Coates has also published and presented Melanoma / Skin Cancer and Dermatology research widely both in journals and at conferences in Australia and internationally including Oral Presentations at the World Congresses of Dermoscopy 2012 and 2015 and he is also a member of the Primary Care Dermatology Society and the International Dermoscopy Society. He also has a wealth of other training and qualifications including FRACGP, MICGP, a postgraduate Diploma in Child Health (DCH) with 2 years Paediatric experience at the Mater Children’s Hospital, as well as Certificates in Occupational Medicine and Sexual and Reproductive Health. He has also completed advanced training in Mental Health at the NSW Institute of Psychiatry which included Level 2 accreditation in Cognitive Behavioral Therapy (CBT) and Psychotherapy and has undertaken training in Neuro-Linguistic Programming (NLP) at the University of Sydney, as well as Antenatal shared care training at the Royal Hospital for Women. Dr Coates is enthusiastic about Medical Education and has been a Lecturer in Skin Cancer management for the GPCE and Royal Australian College of General Practitioners for which he has also been an Examiner since 2011. He has also taught medical students at the University of Sydney and trainee Doctors and since 2012 he has been a International Visiting Lecturer in India, China and now Vietnam. He looks very much forward to meeting you.